Most people in the world have popped open an Umbrella and sung the song Singin’ in the Rain. But have you seen the stage show? Superb photos by Darren Bell. 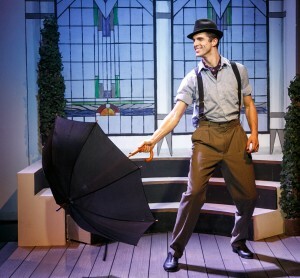 Ovation productions ‘Singin’ in the Rain’ at “Upstairs at the Gatehouse” in Camden. It runs until January 25th 2015 if you fancy a great night out. Telling the story of the 1951 Classic. Hollywood’s first musical, back when the silver screen first found it’s rhythm and Hollywood musicals took over from the old silent movies. 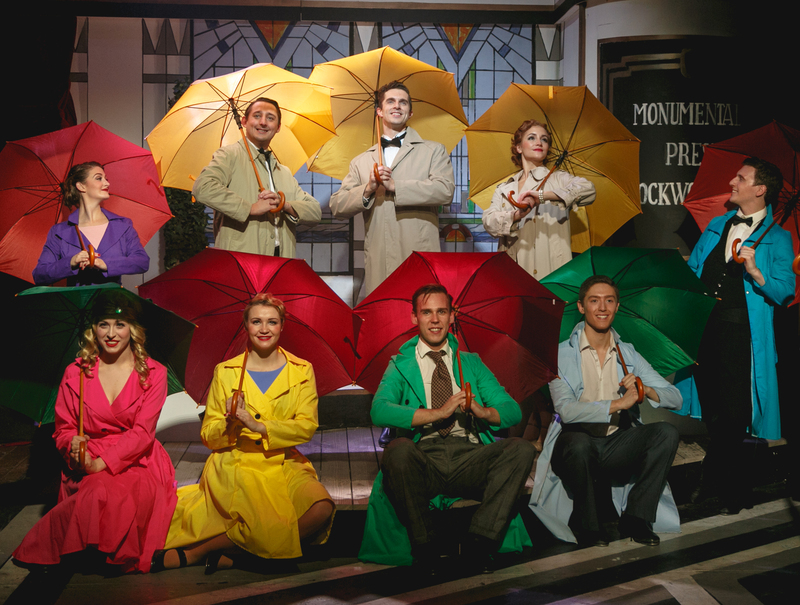 Featuring the biggest songs from the hit movie, full of romance and music and a fabulous cast. Available in yellow, white, ivory, red, purple, orange, navy, mustard, maroon, grey, green, blue, beige and black. Please note these wood stick umbrellas have their limitations in exceptionally strong winds. It is not categorised as a windproof or storm proof, so if used sensibly will last you many years. Just don’t leave it on the bus! This umbrella is not designed to withstand strong wind. But if you prefer a windproof umbrella then our Warwick Black Windproof Umbrella is another option you might like to consider.